Dear All, some time ago, I announced the new “birth” of a koala baby. Ah well, actually, it was not a birth, but the first “escape” from the pouch. Now they know that it is a little boy and it is called Tin-Tookie. The background story of the parents is rather funny: first one to arrive was mommy Alinga and later Maka came. Although koala’s are loners, every night, Maka easily found his way to Alinga and pretty soon thereafter, Sassafras was born. 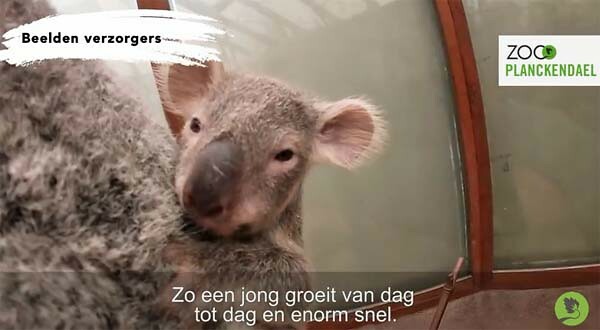 And even though Planckendael did some efforts to keep them separated, it actually seemed that this time, it was Alinga who was “escaping” during the night, with this result!!! How shall we call this: “Romeo and Juliette who cannot live without each other” or so. 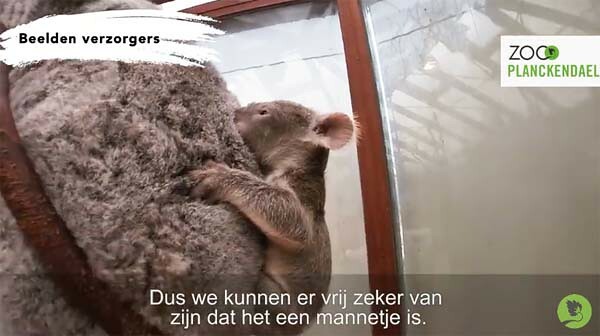 Planckendael has published a little video of mother and son and you must admit: it is more than cute!!!! What a sweetie the little Tin-Tookie is! I love the name, too! 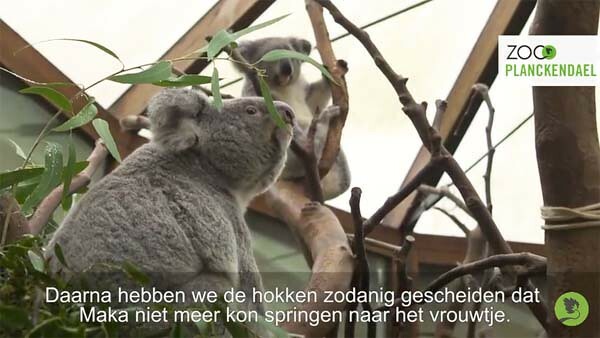 Alinga and Maka certainly are the Romeo and Juliet of the koala world! What a nice and even touching story! I wish Tin-Tookie, his parents and, of course, even their keepers all the best! Thank you so much for delivering this charming article! “Tin-Tookie”: a real charming and melodious name! Charming baby, charming adult, charming young keeper lady (unfortunately I don’t understand what she tells . . .). . . . In the video it first looked indeed like a birth. Interesting to see the baby looking out of mother’s pouch so conspicuously. . . . Wonderful there are even love stories between koalas. TIN-TOOKIE can be happy that he is a child of love, as mama ALINGA and papa MAKA are obviously (or let’s ay ‘readably’ 😉 ) right love birds! This little one has got a very individual kind of face, as to my impression – at least in those photos shown here. 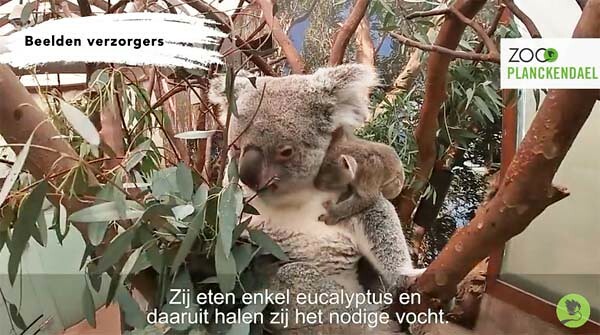 De kleine Koala ist so niedlich, danke fürs Zeigen und viel Glück! Tin-Tookie is a cutie. 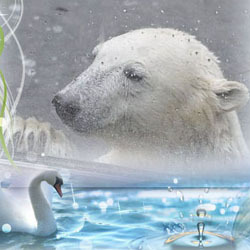 The love story of the parents is very nice. I love to see them jumpimg from tree to tree. Their little ones have to cling quite firmly to their mothers! Tin Tookie is a sweety pie with a unique face and I wish him a long and happy life! die kleine Maus hat alle Hände voll zu tun, um sich festzuhalten. Zur Liebesgeschichte mit Folgen kann man nur sagen – eine schöne Bescherung! Der Name klingt sehr melodisch. A sweet little koalababy !!!!!!!!! Koalabären sind sowieso schön sehr hübsche Bären, aber der kleine Tin Tookie ist besonders süß, wie alle kleinen Tierkinder. Ich wünsche dem Kleinen alles Gute. Log in | 54 queries. 0.769 seconds.